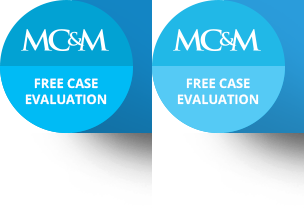 The personal injury law firm of Magaña, Cathcart & McCarthy in Los Angeles has earned an international reputation for achieving excellent results for accident victims in Southern California. Our consummate skill and experience handling all manner of personal injury cases combined with our deep compassion for injury victims ensures that our attorneys are exceptionally well-qualified to represent child victims of injury accidents. How is representing a child different than representing an adult? At a very basic level, effective representation of children requires legal counsel that is at once strong and sensitive–strong to battle insurance companies and at-fault parties for a maximum recovery award, and sensitive to appreciate the unique needs and emotions of children and parents during the aftermath of an accident. Children are especially vulnerable to dog bites and animal attacks, as they may unintentionally provoke a dangerous animal, and a child’s small size means that an animal can cause serious injuries to a child victim in a short amount of time. Playground equipment that is poorly maintained, old, or defective can result in serious injuries to children, including brain damage and spinal cord injuries. Negligent adult supervision in almost any situation can lead to children’s injuries. For example, a child could be hurt at a party, play group, or camp if left unsupervised by those in charge. Children may be assaulted at school by teachers, other students, and third parties legally or illegally present on school property. Even a non-physical assault can cause significant harm to a child. A child can suffer severe emotional and physical harm if an adult engages in inappropriate behavior with him or her, ranging from providing a child with alcohol or drugs to molestation. Our attorneys possess the legal skill and compassion to handle these types of cases, as well as cases arising from automobile accidents, medical malpractice, and other injury-causing circumstances. Understanding that parents are often concerned that their child will be forced to relive an accident during legal proceedings, we work with appropriate levels of aggressiveness and delicacy to obtain compensation and minimize stress on the child. If you live in Southern California and your child has suffered an injury as the result of another person’s negligence, recklessness, or wrongdoing, do not hesitate to contact Magaña, Cathcart & McCarthy in Los Angeles. We take our job as children’s advocates very seriously, and will do everything we can to help your family in your time of need.